Holm Astrology: Are You Going to Collingwood Fair? Don’t miss the 2018 Spring Body & Mind Psychic Fair being held at Cranberry Resort/Village (Bear Estate), 300 Balsam Street in Collingwood on Sunday, April 22, 2018. Doors open at 10 a.m. and the fair runs until 5 p.m. Admission to the fair is free and there will be draw prizes! Holm Astrology will be offering intuitive card readings. Astrology chart readings cannot be commissioned at the fair due to time restraints. Due to the number of people who attend the events hosts by Events By LA and the number of our return clients, at the last fair we were fully booked before noon. We urge you to book your reading in advance to avoid disappointment. 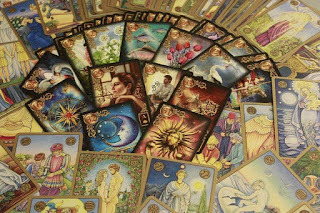 Holm Astrology offers a discount to those who book and pay for their readings in advance. Pre-book your reading through Holm Astrology’s Website at www.holmastrology.com/apps/webstore/ and receive a 15%+ discount off our “At The Fair Reading Rate”. Contact us at www.holmastrology.com/contact-us if you have any questions or to suggest a time that is convenient for you. We will do our best to accommodate you. Come to experience the extraordinary energy of these events.